Jorge was making a living as a drug dealer until he was caught and thrown into prison. Recently released and warned to keep out of trouble, he's already bored with his new existence: selling lattes and cappuccinos at a café. Who wouldn't be? But Jorge has a plan, and big money looms on the horizon if he can pull off one final audacious heist and flee the country before the police close in. Meanwhile, Deputy Inspector Martin Hägerström - entrusted with a secret mission, code name Operation Tide - has gone deep undercover as a disgraced cop turned corrections officer. He's slowly earning the trust of Stockholm's imprisoned expert money launderer, Johan Westlund. A career criminal with a taste for the jet-setting lifestyle, JW is a dangerous man to befriend, one who may demand more loyalty than Hägerström had planned on offering. Natalie is the 22-year-old daughter of Radovan Kranjic, the Serbian crime boss who rules Sweden's underworld. When an assassin threatens Radovan's life, Natalie is hurled into a chaotic struggle for control of her father's empire - and the competition is fierce. Who will rise to power in the voracious hunt for money, prestige, and luxury to become Stockholm's new king - or queen - of crime? Great Story...great end to the trilogy. 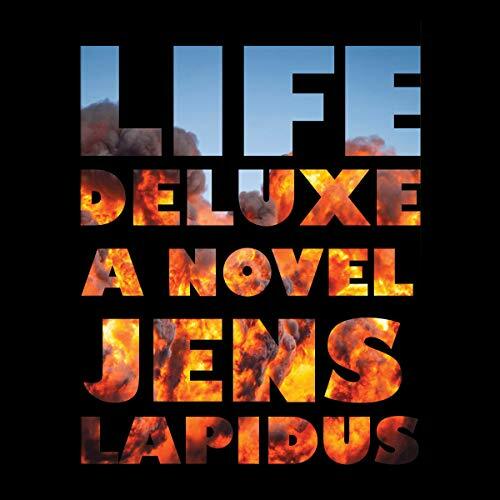 Jens Lapidus is a great writer. If you wished The Girl with Dragon Tattoo would never end, this series will help fill that void!